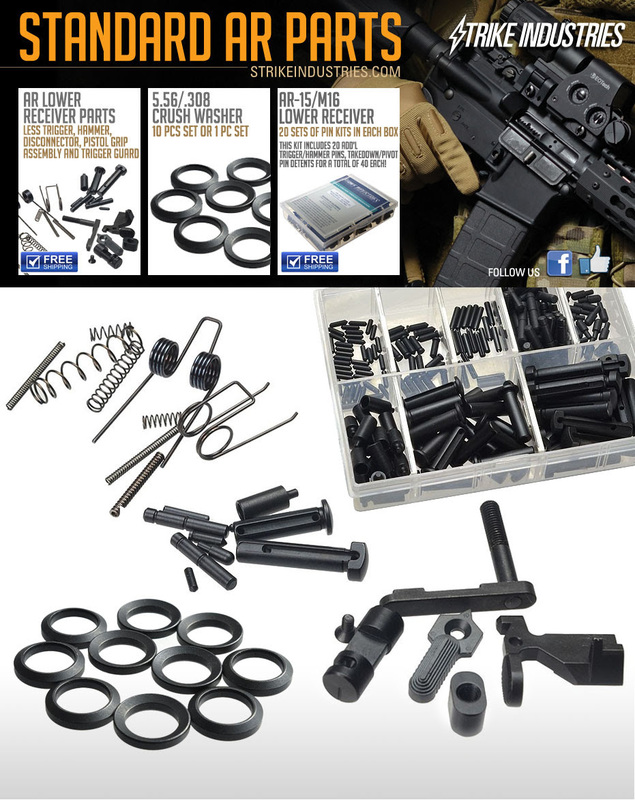 Strike Industries SI AR-15 Rifle/Carbine/SBR Lower Receiver Parts Kits, PRO Kits (Springs, Pins and Detents) and 5.56mm/7.62mm AR Crush Washer Packs | DefenseReview.com (DR): An online tactical technology and military defense technology magazine with particular focus on the latest and greatest tactical firearms news (tactical gun news), tactical gear news and tactical shooting news. If you need parts to build up that shiny new AR lower you just received, look to our Lower Parts Kit (less the trigger group). It is perfect for the individual who already has the most common upgrades for an AR15 such as an upgraded grip, trigger guard and trigger group. Even if you already have an assembled lower, keep a few of our kits around for spare parts because our kits are set at factory direct prices. Need some spare crush washers because you just can't decide which muzzle device to put on your AR? Buy them factory direct from Strike Industries in 10-piece packs or single-piece packs so that you may experiment with muzzle devices till your heart's content. 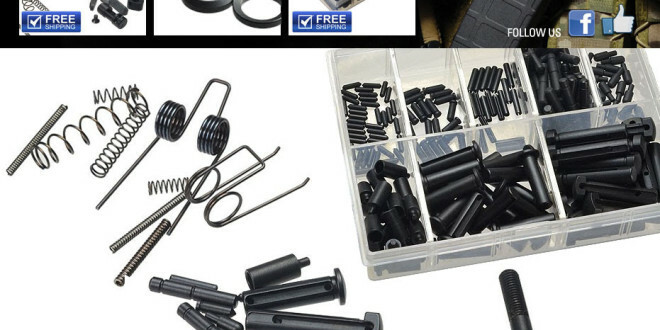 For gunsmiths, we offer PRO kits of our springs, pins and detents. This is perfect for keeping on hand for those days when you accidentally shoot a pivot pin detent across the room into an abyss of carpet during your installations. Strike Industries AK TRAX-1/TRAX-2 KeyMod Modular Rail System/Tactical Handguard for Kalashnikov AKM Rifle/Carbine! Strike Industries (SI) Battle Case for iPhone 5 (and iPhone 4/4S) Protects from Dirt, Sand, and Water Splash!